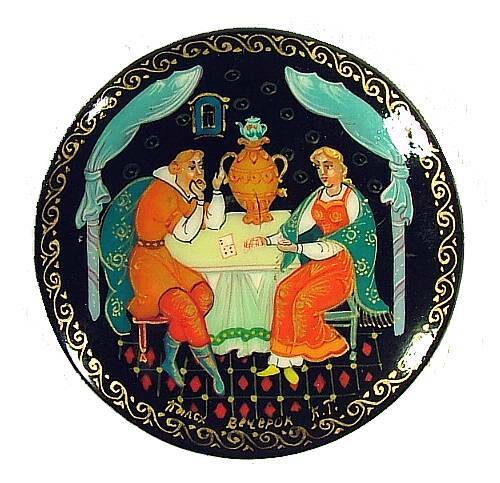 A man and woman enjoy a card game and a cup of tea. A wonderful folk scene! Signed with the initials of the artist, village and title.